#MondayMotivation: Zumba™ Fitness Instructor Claudia Buckler Talks About How Men and Kids can Love Zumba Classes Too! 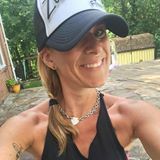 I would like to share my Zumba™ Fitness family experience... 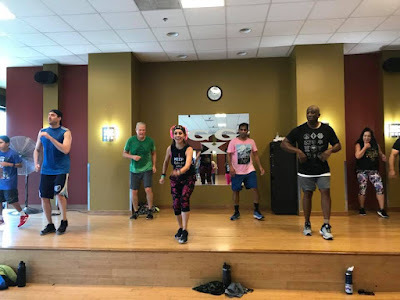 When I first entered the fitness world, I was taking and teaching various Zumba™ Fitness classes as well as working full time. The question that lingered in the back of my mind was, "When would I have time for a relationship?" This was one of my main concerns when I started dating my future husband. Due to his different sports injures the only way for him to keep moving and working out was Zumba™ so he started coming to my classes. This was very beneficial for our relationship! It was fun spending the entire evening together working out and and then getting ready for our dinner date. Usually an evening out consists of dinner then dancing, but we did it backwards – first we danced, then we went to dinner! I’ve heard ladies say they didn’t come to Zumba™ Fitness classes because their husbands were home, and they wanted to spend more time with them, or because they had to take care of the kids. Why not do both? Bring the family to Zumba™! It is a healthy and fun way to spend time together. According to national averages, physical inactivity in the United States among adults is close to 35%, and the adult obesity rate is close to 38%! The national childhood obesity rate is also alarming, close to 19%. Ask yourself, do you want you and your family members to be included in these numbers? If not, then do something about it! Make Zumba™ a fun family activity with the whole family! How Many Men Are Doing Zumba? While there are no official studies of the gender breakdown that I know of, I’m willing to bet about 90%-95% of Zumba™ participants are female based on my experience. The women I talked to while reporting this article said that they never, or rarely, see men in their Zumba™ classes. Why is this? The reasons for this are not specific just to Zumba™ Fitness. Studies indicate that men in general prefer to work out alone therefore women make up the majority of group cardio classes. But Zumba™ Fitness classes as opposed to other dance classes like hip-hop and break dancing, which usually gets a handful of guys, seems especially unpopular with men. Again, the question is why? Specifically, why don’t men like Zumba™? These reasons are unfortunate and not in line with the reality of Zumba™ Fitness itself. Yes, it is an intense workout as the movement is almost non-stop. There are short breaks between songs, enough time for a quick towel or a drink of water, but no real rest during the class. It is a complete workout because you are using every single muscle in your body. However, most of my students say that Zumba™ doesn’t feel like a workout at all! I think they are completely right. Zumba™ feels like a big group party where you never leave the dance floor and every song brings you joy, energy, and makes you feel enthusiastic. Eventually they seem to really enjoy the workout and the comradely with the other students. It is a very supportive atmosphere! When I started doing Zumba™ I discovered it is a good total body workout, and I felt supported by others. Most people burn about the same number of calories they would on a treadmill (or even more depending in the intensity of the class), but there are more challenges and varieties of muscle movements. As you get better at the moves, you experience more enjoyment from the class — and a definite sense of achievement. I really love it…and I think you will too! Are you a guy that goes to Zumba™ classes? Why do you like going? What's your favorite part of class? As a guy that’s never been to Zumba™ why? What do you prefer to do instead? Would you ever try a Zumba™ class? Hopefully this article inspired you to engage your husband, partner or family to join you to experience your passion #chugether!